Hear me out on this one. As a concert and event photographer (and music lover), I will argue until my dying breath that the most important piece of equipment we have after our camera is ear protection. In fact, this made my recently published list of 10 concert photography tips for everyone. I've gone through nearly a dozen different kinds of earplugs over the past five years, but the Music•PRO high-fidelity earplugs from Etymotic are something absolutely unique, and I'm thrilled to be able to review them. They're electronic. And they're alive. When I told the other staff writers that I was going to review some earplugs, they laughed me out of town. 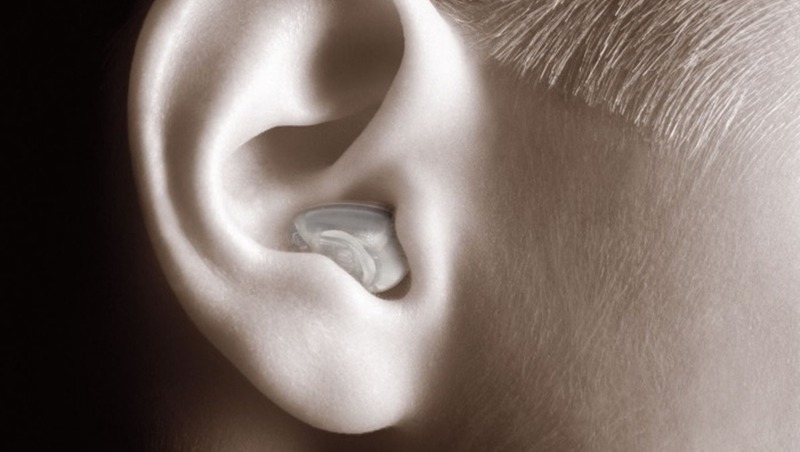 They joked that an earplug review would be a single sentence: "I put them in my ears and loud sounds were not as loud. 10/10." But these aren't any ordinary earplugs; so, I'd say the joke is on them. I've said it before and I'll say it again: Your parents were right. And I bet they wished they had worn earplugs more often when they were younger. It's just not a laughing matter. When your hearing is gone, it's gone, and unprotected ears at a concert make for a fast path to deafness. It's already bad enough when you're a paying concert-goer stuck thirty rows back behind what are surely several NBA centers, but when you're working a show, you'll find yourself in a world of aural hurt. Not only are you the closest person to the speaker stacks, but many times, you're the closest person to the drummer and your face is directly at kick-drum height. And it's not just the fact you're going to spend three songs in one heck of a loud place, but if you do this as much as I do, you're going to be doing it a hundred times a year or more. Don't even get me started on all-day music festivals or even an ambitious wedding DJ. I've used everything from over-the-ear pit crew style headphones to those cheap industrial orange foam things that you roll between your fingers and that end up in the washing machine. I've also forgotten to bring protection and felt my mistake for hours to come. But in my past, I was a musician. I even worked at a guitar store for a decade. I began my entire professional photographic career on the back of shooting my friends' bands in local bars and clubs. I started shooting bands more than a year before I collected my first penny with weddings and engagements. I love music. And I got to the point where I was attending a lot of concerts (for both work and play) in which I wanted to enjoy the music as much as I wanted to protect my eardrums. That's when I found the world of high-fidelity earplugs. 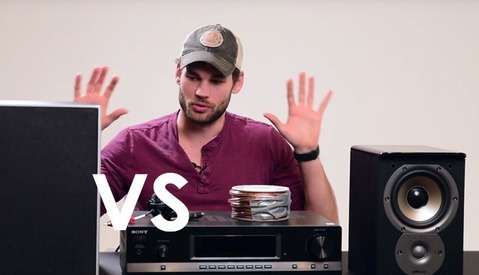 Not all sound waves are created equal. High frequencies don't travel as far and are more easily stopped than low frequencies. This is why when that inconsiderate human who turns his car stereo up as loud as possible drives by, you can only hear subwoofer boom. The low frequencies travel far. They also travel through things more easily. When you shove a piece of foam in your ear, all waves are treated equally. They all have to go through the exact same medium at the exact same time. While the overall sound is typically dropped substantially (30 decibels or more), the overall frequency response for what you're hearing is changed dramatically. You lose almost all high frequencies, mid frequencies (like voices) become extremely muffled, and everything is finished off with booming "flubby" bass. They're certainly safe, but are not designed so you can enjoy your source. Of course, who cares about enjoying the sound of your lawnmower? Hi-fi earplugs, on the other hand, are designed to keep the transmitted frequencies as close to the original source as possible. You may hear this referred to as "flat" or "neutral" frequency response. A great and moderately inexpensive set that does this passively is something like the Etymotic ER20XS. They do this by having the sound enter a specially designed chamber that is tuned to allow different frequencies to bounce around and end up in your ear at the same final level. It's actually some pretty impressive engineering. To the average casual musician or concertgoer, something like this may be enough. Thanks to the very awesome Violet Short (www.violetshortphotography.com) for this shot of me in the pit with some Etymotics. But what if this is your job? What if you spend more time than the average person in musical situations? 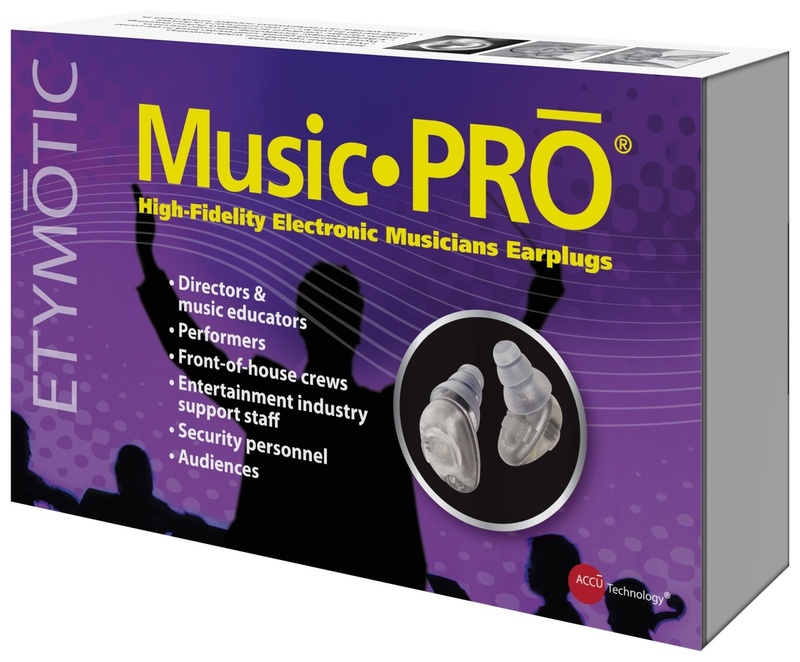 If you're front-of-house, a music producer, musician, concert/event photographer, music educator, or anything of the sort, the Etymotic Music·PRO electronic earplugs may be for you. So, what makes these things special? Well, the marquee feature of these little marvels is that they change the volume of what you're hearing automatically depending on how loud it is. It's just like having multiple types of earplugs for different applications in one, and they seamlessly switch depending on your needs. There's a tiny little switch that lets you switch between two different modes, each with different level ranges. 0dB: When the "load" is under 70dB, such as in between songs or when you're just talking to friends, they are essentially neutral, with no cut, aside from the natural little bit that comes from having something in your ear. -15dB: Above 70dB, the earplugs begin to gradually increase protection up to this level. At 80dB, you get a 5dB reduction, at 90dB you get a 10dB reduction, and at 100dB and above, you get a 15dB reduction. -25dB: This is the "emergency impact" protection level and actually can be anywhere between 25 and 40dB, depending on the earptip used and the seal with the ear. If you get a loud cymbal strike right in your face, there's a pop in the speakers, or if you get hit with any other loud, percussive sounds, you get an instant cut that is similar to the protection level of foam earplugs. +6dB: When the room level is under 70dB, you actually get a small boost, like a hearing aid. I personally am not sure where I would need this feature, but it's there if you want it. My best guess for where this would be beneficial is if you're at the symphony or a play, where the music can get moderately loud, but sometimes, the dialog in between can get a bit lost. -9dB: At 80dB in the room, the gain has shut off, and the earplugs are running neutral at 0dB. At 90dB, there's about a 5dB reduction, and at 100dB, you hit your 9dB max. It doesn't sound like a lot, but it's definitely noticeable. -25dB: This mode has the exact same "emergency impact" protection as mode one. This is actually very smart, because many times, even in quieter events, a speaker can blow, or a microphone can pop, or a cable can short out and produce extremely loud volumes. In the month I've been using these plugs, I've used exclusively mode one while on the job, but I did play with mode two at home. You can definitely detect the "hypersensitive hearing" you get from the +6dB boost in mode 2, and it certainly does work, but I found in very quiet situations, the low-level gain hiss can be a bit annoying. This isn't a knock against the earplugs, though; it's just the nature of the beast. As far as the switch itself goes, I actually think they did a good job engineering it. While it's right on the front, it's easy enough to switch in the middle of a show if you wanted to, but it's never going to get switched accidentally. There are two different types and densities of foam, as well as four different types and sizes of eartips. Additionally, there is a cleaning tool, a nice hard case, a filter-changing tool, extra filters (the little red things), a polyurethane neck cord, and a pack of 10 batteries. I made a mistake the first time I used them (shooting a Zedd show) and assumed that the default plugs that are installed from the factory would fit my average ear canals as literally every set of earbud-style headphones and earplugs I've ever used did. The factory-installed eartips are a bit smaller than I was used to, and I failed to factor in the fact that since they provide so many more options in the box that there really isn't a true medium. There's more like a medium-small and a medium-large; so, definitely keep that in mind if you pick up a set of these. Be sure to make no assumptions before leaving the house for the first time. Try several sets. While doing a little supplementary research, I discovered that there is a company called Sensaphonics that will make custom molds for these earplugs. Do that and you have the absolute ultimate earplug solution. One of my few complaints is the neck cord. It's a clear, flexible polyurethane cord that keeps you from losing them, but it's super springy and tends to have a mind of its own when you're trying to wrap them up to store in the case. I genuinely have a hard time getting the lid to snap close every time, because the cord wants to get in the way. I also have a set of the ER20XS earplugs, and they come with a braided nylon cord that is much easier to handle in this regard. The trade-off is that the nylon tends to knot up more easily; so, I'm guessing this was the reason for the departure. I have to admit that one of my older sets has many, many permanent knots in the cord now. I don't think the polyurethane is as susceptible to this. I guess you'd say it's a double-edged sword. I may just have to keep playing and figure out an optimal way to wrap it up for storage. I haven't yet. The Music·PROs have to use electricity in order to provide the magic they do; so, they are powered by little #10 hearing aid batteries. Any of you who have hearing aids may laugh at this next part, but since this is my first experience with them, I should probably tell you what I have discovered. The package comes with a pack of 10 batteries. At first I thought this was enough to last me two years. Then, I learned all about zinc-air batteries. Hearing aid batteries such as these have a little plastic tab on them, and as soon as you pull the tab, oxygen from the air enters the battery and reacts with the zinc, which creates electricity. It's pretty cool, actually, to think that the oxygen from the air is actually part of the fuel source. While there are a ton of advantages to these batteries, such as being inexpensive to produce, relatively safe for the environment, and producing stable voltage throughout their lifespan, there is one pretty big problem: they don't last very long. In fact, once activated, they typically last only 10-14 days, even when not being used. When in use, that can drop down to just a few days, easily 3-10 days. Fortunately, the batteries are pretty cheap (you can get a 50-pack at Costco for around $10), but you do need to be conscious about always keeping extras in your bag and not replacing batteries until you know you're going to need to use them. Once they're activated, they're mostly on until they're dead. You can squeeze a few extra days out of the batteries by "turning off" the earplugs between uses, but since there's no switch, you have to open the battery compartment half-way or more. I actually found battery management to be the biggest bummer about using the Music·PROs, but it's not debilitating and there's just not a better battery technology available for this type of use. So, what is the general experience of actually using these things at a show? I've been racking my brain over how best to talk about this for weeks, because it's a hard thing to describe. They just work. And by that, I mean, you can't really tell they are working in most cases. And that's a good thing. The decibel switching is totally transparent in most cases. One second, I'm talking to a security guard with neutral dB response, and the next second, the crowd comes roaring to life as the house lights go down and I'm being protected at 15dB, but there's no real cue that this is happening, except that my ears aren't ringing. During the third concert I shot with them, I made a conscious effort to hum to myself at different points in the night and then compared how my humming sounded during each of those times. And just as I expected, my humming was muffled when the earplugs were under load, a sign that you have something blocking your ear canal. But after the show in the lobby? My humming sounded totally normal. There are a couple special circumstances where you can noticeably tell they are working. The two times I noticed were in situations where I was turned sideways to the audio source and one ear adjusted, while the other didn't. But you've really got to be in a sweet spot for it to work like that. I happened to be three-quarters of the way back in a room shooting Tori Kelly, turned sideways for a few seconds, and my ear farthest from the stage kicked down to 0dB, while my other ear stayed higher (likely around 10dB). It just sounded like an earplug fell out, and I instinctively grabbed it to prevent it from falling. But it was just where I left it: in my ear. So, the electronics work, but how do they sound? Unfortunately, things like this are fairly subjective. Also, expectations have to be managed. At the end of the day, you're still shoving plugs into your ears, which is going to alter the sound waves that enter your ear canal. After several years of using passive hi-fi plugs, I can say with certainty that these certainly perform just as well, but there is a caveat: fit and placement in the ear makes a huge difference. Just a nudge one way or another can alter the fidelity of your audio. While I really didn't run into any alarming conditions, it would really depend on how your ear is built. Some people just don't have much luck with anything but custom ear molds, and even though I'm happy with the included options, I'm certainly curious to try them with custom molds myself. I know that being a professional concert photographer is fairly niche, especially compared to portraiture and photographing cats, but first, I'd like to say that there are more uses to these than just concert photography. I shoot weddings, and I've been to more than one reception where I should have worn earplugs, whether from a crazy DJ or a kickin' live band. That'd be a great situation where you can walk in and out of the reception room to do photos and you wouldn't have to keep taking out and putting back in your earplugs. If you're someone who just loves going to concerts, they're awesome. If you've got the itch to spend money on something nerdy and cool, then these certainly fit the bill. Etymotic also lists some other industries that would get a huge benefit out of these right on the front of the box. And yes, other than putting the elephant in the room in the title of the article, I've avoided talking about the price. While they are very expensive, especially compared to most common earplugs, it's all about perspective. 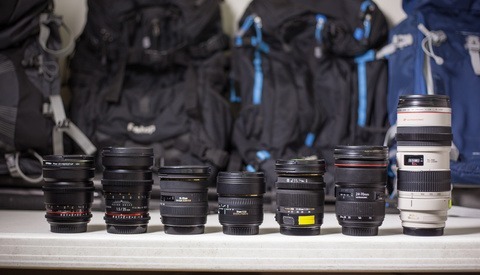 How much was the last lens you bought? Can you put a price on your hearing? 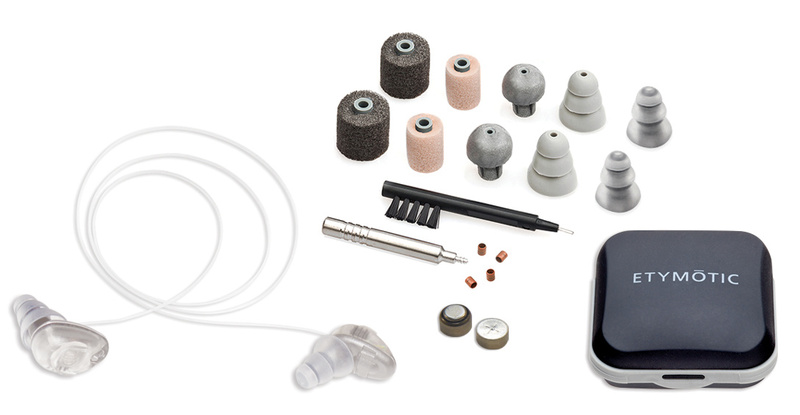 Have you ever looked at how expensive hearing aids are? They work perfectly as advertised, which is actually very impressive. They have several included eartip options to get a great fit without having to get custom molds. They come with all the tools and accessories you would need, like the neck cord, cleaner, and a nice hard case. While being required to deal with a small battery and battery tray, it is still very easy to change batteries. The tray opens and closes easily and is deep enough to securely hold the battery. They make your audio-nerd friends very envious. Compared to common earplugs, they are extremely expensive. The polyurethane neck cord is a pain to get in the case with the earplugs. The battery life is only 1-2 weeks, even when not being used. Turning off the earplugs requires opening the battery door enough to break the connection. There is no switch or button. The paranoia over losing them is very real. Want a set? Pick them up from B&H! Definitely agree! Hearing and seeing is a limited resource; once it's gone, it's gone! I was stopped at a stop light and I heard this "BOOM! BOOM! BOOM!" and with each BOOM, my rear view mirror shook! Since you do concert photography, do lasers really fry the digital sensors? As far as I understand there is definitely a risk if a certain wavelength/intensity of laser light hits your sensor directly. I have mentioned it to follow photogs in the pit a few times, but it's actually pretty hard to do taking regular stills. Every instance I've seen of "laser death" is from someone shooting video or using live view where the mirror is locked up and the sensor is constantly on. Yes, in the YouTube video, the photographer was shooting video and it showed the dead pixels spreading where the lasers hit. There was a gig photographer that showed damage from the shows lasers when it shone directly into his camera, the problem for him was it wrecked his images and it wasn't apparent until he got home. It was posted on many of the photography blogs with the damaged images a number of years ago. Can't remember if it was stills or video, but I'm pretty sure it was a dSLR. As Sean says the chances are remote, you've probably got more risk of the laser hitting your eyes through the eyepiece and the mirror assembly as to hit the sensor the mirror has be in the up position. I saw the photos that photog posted so many years ago about his fried sensor. I haven't ever heard of anything like that happening since then but always safe then sorry- if i'm in a club with laser lights, i take note of where they are and shoot a little lower down so that there is little chance of a laser hitting the lens. But if have to shoot perfectly horizontally or low to high, i keep track of the patterns of the laser overheard and time the shot the second it goes past my subject and there's nothing on them. Interesting. Alternatively, I have fully custom (non powered) plugs that give me about 20-25db all the time. $150- from your local audiologist (I wear them at concerts and weddings). The fit (as you'd expect) is amazing. These are pretty sweet though. I'm totally sold on making sure I have these for wedding receptions, now. I'm also going to get the custom Sensaphonics molds for them. And there are certainly plenty of great passive alternatives, for sure. I'm definitely not suggesting that anyone HAS to run out and get these. They're not essential. At a certain point you're paying for convenience and the technology itself. Bang-for-the-buck they are not. As a part time musician and part time wedding photographer, I find myself in very loud environments on a regular basis. I'm not sure that these particular powered / intelligent units would be to my liking, but like Doug Levy mentioned, I also have the non-powered version of these. My Etymotic ear plugs have interchangeable filters (-6db, -15db and -25db). The filters aren't cheap, and I only own the -15db version to go with my custom-molds. I think all up with the custom mold and the filter the setup cost me less than AUD$300, so way less than USD$300. Sometimes I wish I had the -6db version for when I'm playing acoustic gigs in small venues, but the clarity of the Etymotic filters is leagues beyond any other earplug solution that I've tried. As a wedding photographer I've been subjected to some of the most obscenely loud receptions. Some DJs simply have no grasp of just how loud they are making the dancefloor, while they stand off to the side and behind the speakers. And the drunk guests just party away oblivious. Meanwhile the photographers and videographers are right in the firing line. Thank god for technology but I wish I had these a decade ago when I was gigging. After doing a number of gigs on the weekends and realizing my hearing was getting damaged quickly I relented and just used the foam plugs. But trying to sing lead vocals with foam plugs? Took a while to get used to and I had to trust the mixer/monitor guy bigtime. These would have made the experience much better. 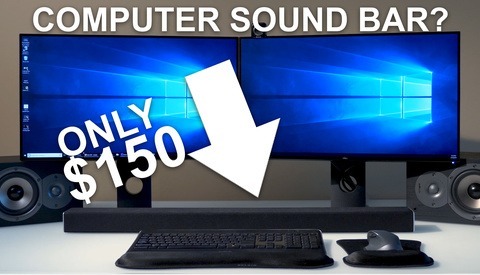 Great review of a peripheral piece of gear for those doing anything in loud environments. I had a pair of Etymotic isolation earphones that I used commuting until I wore out the cables, so I can see the value in their gear (although the Shure pairs I wore out beforehand, and the much cheaper Klipsch pair I replaced the ER's with seemed about as good). What would get me during my commute was when, despite having the isolation earphones in to reduce outside noise, I'd hear other people's earbuds that were cranked up full volume so they could hear their music over the noisy subway. I feel bad for their future kids, having to spend years shouting so their near deaf parent can hear them. Perhaps if using earplugs as much as you are the $300 is justified. But for more casual use, including shooting at concerts, I've found Hearos Musicians earplugs do the job for me at $10 a pair. They're cheap and small enough to have a pair in each camera case, lest you find yourself in an unexpectedly noisy situation. Fortunately I started using them when I was playing in bands many years ago, so my hearing is better than most people I know. If all you're trying to do is block out noise or loud music (as a photographer or concert goer) there are way cheaper options of course. If, on the other hand, you need to cut sound levels to less dangerous volumes, but still be able to hear well, like performers do, then these would be a very good option and well worth the money IMO. 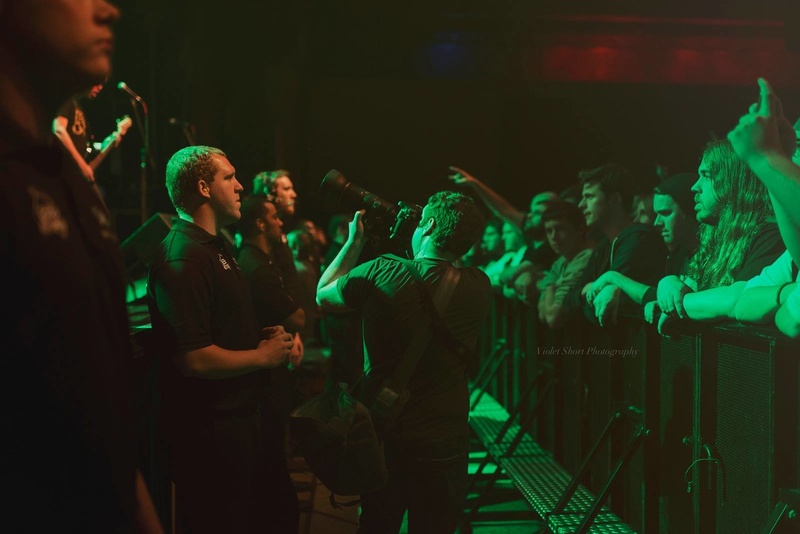 Sean's review is for concert photographers. In any case, I used the Hearos Musicians earplugs as a musician in a band with loud volumes on stage and they worked well for me. While I have them in now off stage, I find I can hear people talking to me at close range about as well as I can without them, since there's less volume overall. I acknowledged if you're using them all the time the price may be justified, but for more casual users like myself they're not. Thank you for the great review! Sure, these seem expensive if you’re comparing them to the little foamies but that’s like comparing oranges to dump trucks. I have a pair of active noise reduction headphones I use while traveling and now I can have my tv or iPad volume on the lowest level rather than the highest. After a 30 hour travel day I can tell you they are worth every cent. I love to shoot air shows and have had the chance to shoot from the middle of the field with the pyro crew. Forgetting ear plugs for one day was one of the biggest mistakes I've made and my ears were ringing for days after to remind me to never do it again. The noise level was easily on par with time I spent in Iraq during the war. I can't understand why people would balk at a spending a few hundred bucks to save their hearing when they're likely walking around with camera gear that costs thousands. Good but ouch, so pricey. Having used the 33 NRR foam Heroes which are $12 for a box -of 50 pair (under ideal conditions, but i'd rate any foam plug much lower in NRR protection bc of how they fit), i upgraded to LiveMus!c HearSafe Ear Plugs- they are tapered in-ear plugs made of some sort of neoprene with a cord attached to them. Just under $30 and they create a tight fit that blocks out the most sound out of any plug i've used so far. It's rated for 29 NRR, which is the highest you can find on plugs like this and comes in a little waterproof metal cylinder with a hook that i can attach to my camera bag.. A conversion from NRR to decibels equals 11 decibels, so the fact Etymotic can reduce decibels to 15 is pretty impressive... which means they would be considered 37 NRR. Keep in mind that though any plug will protect your ears to a degree, you can still suffer loss via sound being absorbed and amplified by your body, so be aware of that. Info on that in the link below. If you shoot right up in front of stage of a medium to large venue, you're more than likely going to notice large arrays of subwoofers right by your feet- and feel them. And even with my tight fitting neoprene ear plugs in my ear, they managed to pop out (i was in the crowd as a band member was crowd surfing right in front of me, so it got knocked out and lost). If you splurge on something as expensive as these Etymotics, be aware of who your audience and surroundings are and use a cheaper type of backup that you don't mind losing in it's place to be on the safe side.. I could see these being handy at the range for me. I don't know about that...I wonder what the 'reaction time' is on these things. Maybe I missed it in the articles/links...but it talks about room sound levels, meaning constant volume. If these things modulate to a quite environment that has occasional loud noises, would they react quick enough to block that loud noise? Even $60 NR muffs can do it fast enough, so I would hope these could. Variable protection level, automatically adjusting to noise levels in the environment, for $60? I was talking about the variable element of these earplugs. That's a good question. I would assume it's instantaneous since electric current is faster than sound. It could kick in before the sound reaches the ear canal. I will be sure to ask Etymotic for details on this. and if you employ people to work with you, you may have to provide hearing protection and have risk assessments in place for your employees. does the model reviewed in this post give any indication when the batteries run out? its not glamorous, and certainly not "click bait" worthy but there should be more information and help out there for new comers. Setting up a business isn't just about buying the latest shiny camera, you have to protect and look after your workforce and the public around you. Before using the earplugs you are supposed to cup them in your hands, creating a closed hollow space. This will create a feedback loop and you will hear a high-pitched whine if the batteries have life left in them. I've not seen these electronic ones before but I've been using ety plugs for a while. Even the cheap (non electronic) ones are great. I love ear plugs. Definitely something important to review! i have worked in the nightclub and live music biz for almost 30 years and i always wore earplugs. nothing fancy, just the orange foam ones. i can stand in front of a stack of speakers no problem for hours if i had to and still hear everything going on around me. i can also tune out the music when i'm working. my hearing is great for a 50 year old even now. never any ringing or lose. if these do the trick for some people then great, buy em. but ya gotta wear something.